At the Foundation For Building, we take pride in creating and collaborating on programs that will widen your eyes with excitement, inspire you to learn more about what we do and why we do it, and get you to say, "Wow, what a phenomenal idea! Tell me more." This statewide program certifies green residential building and is housed under the Foundation For Building, which, in addition to its other goals, supports and encourages affordable housing and builder education. Build Green New Mexico is a voluntary program, the purpose of which is to encourage homebuilders to use technologies that support higher performing, more sustainable homes. These include products and practices that will provide greater energy efficiency and reduce pollution; healthier indoor air; reduce water usage; preserve natural resources; and improve durability and reduce maintenance. The Build Green New Mexico program has proven to be so successful that it has been used as a model nationwide. In the past as many as 72% of the homes permitted and built in the City of Albuquerque were built using Build Green New Mexico standards. BGNM was the certifying basis for the highly successful New Mexico State Sustainable Building Tax Credit, which resulted in hundreds of energy-efficient homes being built across the state that otherwise could not have been constructed. In the process, BGNM builders employed thousands of New Mexicans and generated significant tax revenues to the state and municipalities. 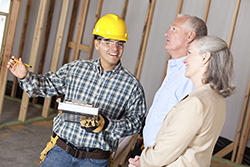 The Build Green New Mexico program is a voluntary program adopted by builders and homeowners. Creating easy and beneficial ways for homeowners to make their homes more energy-efficient and healthier places to live. Developing innovative dog parks to connect communities through a broader social experience and transforming “unusable” urban plots into aesthetically-pleasing and dog-loving neighborhood parks. Helping find and implement innovative tree canopy and green space solutions to reduce the significant negative impact from heat island effects in cities. Finding innovative ways to provide energy-efficient and affordable housing for the families of our work force. Helping develop creative and effective ways to enrich people’s experience of their downtowns and urban-core areas. © Foundation For Building | All Rights Reserved | Website Design by Simply Design, Inc.